Pulled after allowing three goals on five shots in the first period of Game 2, Andersen robbed Pastrnak on a jaw-dropping diving stick save with Rask on the bench for an extra skater with just over two minutes to go to help preserve Toronto's win. Toronto led 1-0 after the first, but Boston tied it at 3:06 of the second when McQuaid's shot from the point squeezed under Andersen's pad and dribbled in. The goal came moments after Andersen made a stellar glove save from his belly on David Krejci with Nash and Travis Dermott battling in the blue paint. But the Bruins again responded when Chara ripped a shot off Andersen's mask and in from an impossible angle at 6:19. 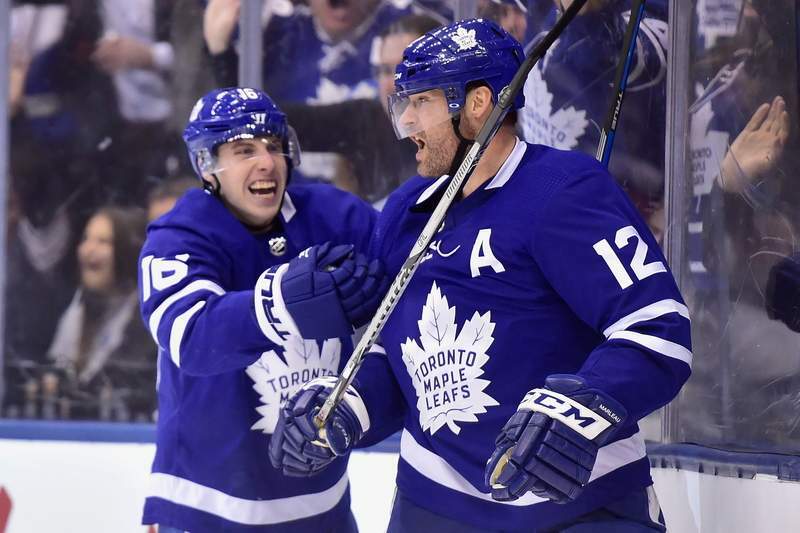 Toronto, which was 1 for 7 with the man advantage through the first two games, made the Bruins pay just 7 seconds later when van Riemsdyk scored his second goal of the series, slipping the rebound of Tyler Bozak's initial shot through Rask at 17:05 to give the Leafs their first lead of the series. 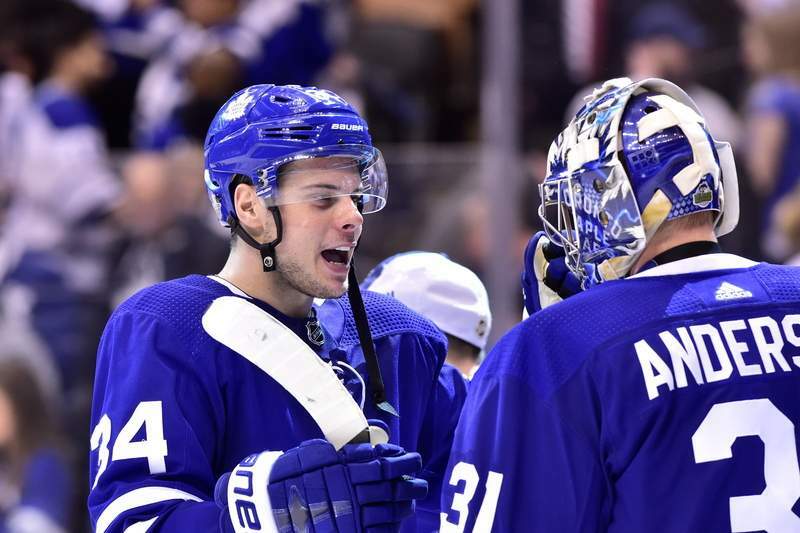 The Maple Leafs had a couple of other opportunities earlier in the period, but Rask stretched to rob Andreas Johnsson with a great save before Kapanen didn't get all of his backhand attempt on a breakaway. But apart from van Riemsdyk's goal, the biggest cheer came when Zach Hyman leveled Marchand with a solid hit that sent the Bruins winger flying.